Following WWII, the USAF required an effective aircrew training aircraft. 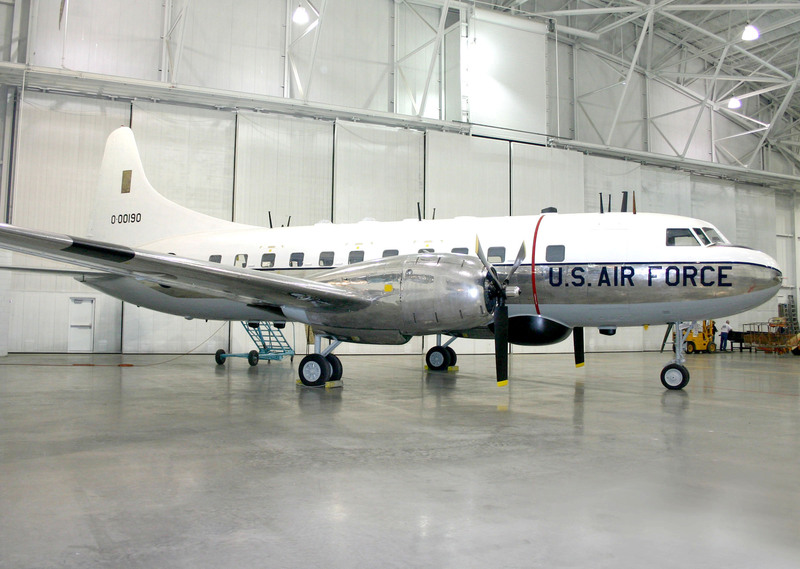 Convair converted its airliner into a non-pressurized trainer aircraft featuring fourteen fully equipped navigation stations for students/instructors, and one radio operator station. The T-29A made its initial flight on September 22, 1949. Each navigation student had access to a map table, loran scope, altimeter and radio compass panel. In the roof of the fuselage are four astrodomes which students used to take sights with sextants for navigation purposes. There were also five drift meters used to determine the “drift” of an aircraft by visual sightings of points on the ground. About our T-29A: This aircraft was delivered to the Air Force on July 26, 1951. It was dropped from the inventory and flown to the Strategic Air & Space Museum in July, 1973.